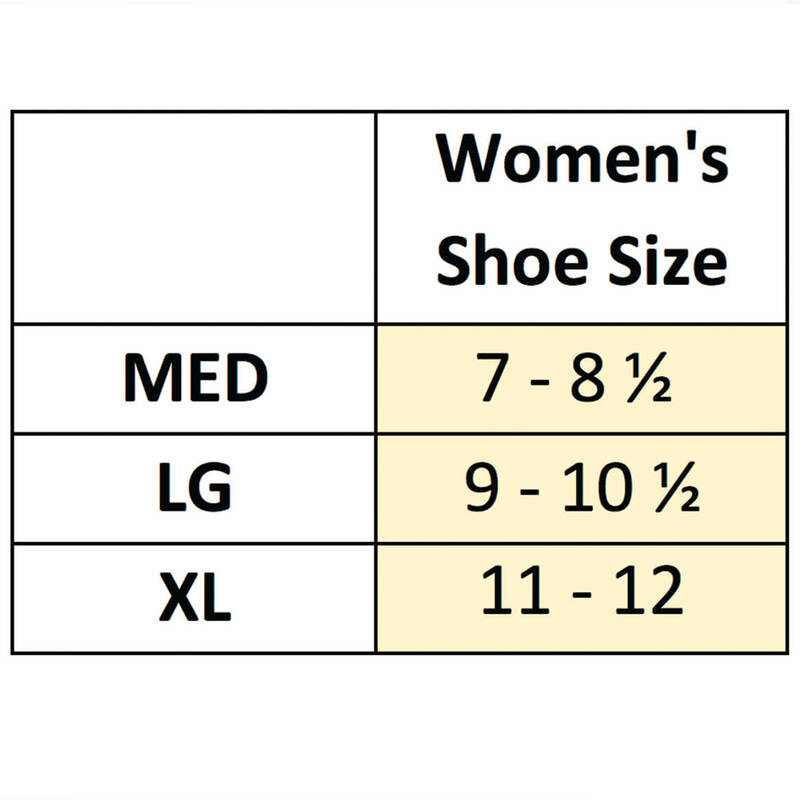 Size description is completely incorrect. Ordered these in large 7.5-8 which is my size, but they are too large. These would be a tripping hazard as my toes slide right through the opening and leaves too much at the back. I always have been pleased so far with any footwear or any other products that I have purchased in the past. 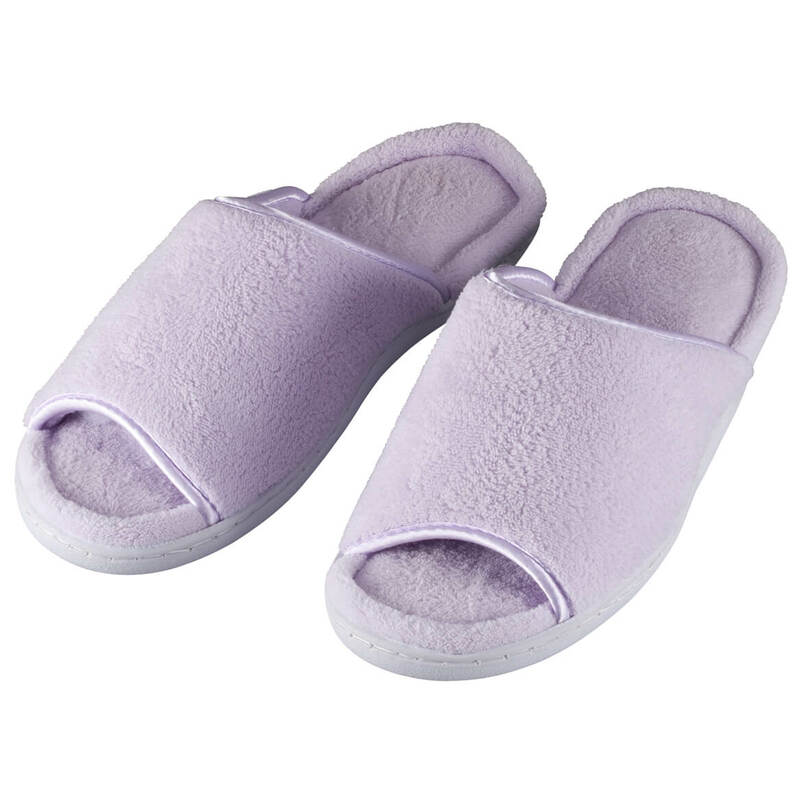 One of my passions is slippers. I love for my feet to be comfortable ,warm,or cool if need. So far ,M.K. has not let me down on my purchases thus far. I am completely satisfied. They look comfy and the price was right. 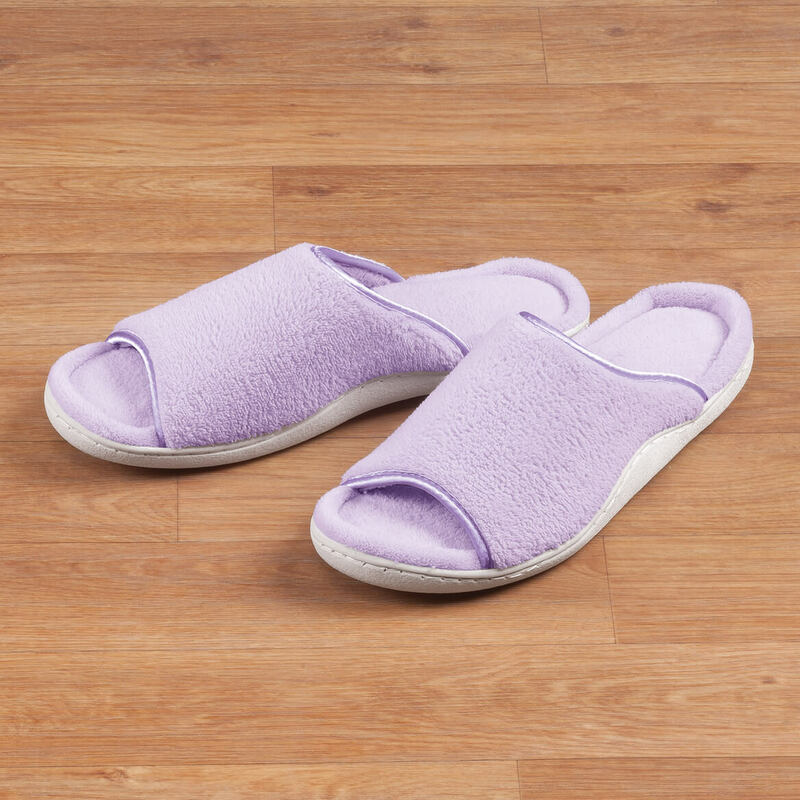 Because I can't find them around here and I love these kind of slippers. So my feet want be wet coming out the shower and slippery so i want fall. I like the ease of donning these to keep my feet warm! 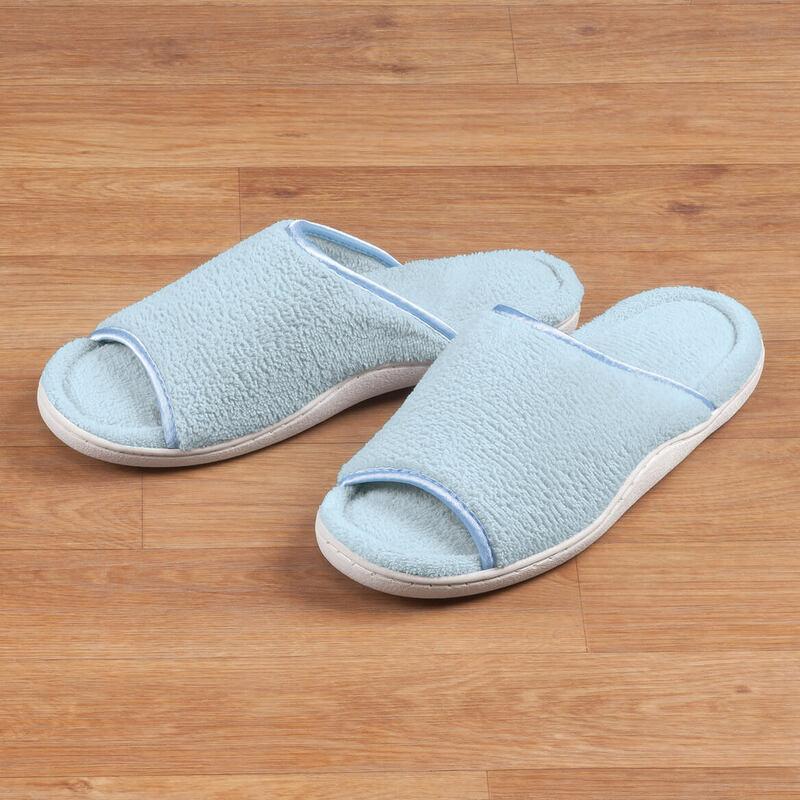 I use this type of slipper in my suitcase for travel. 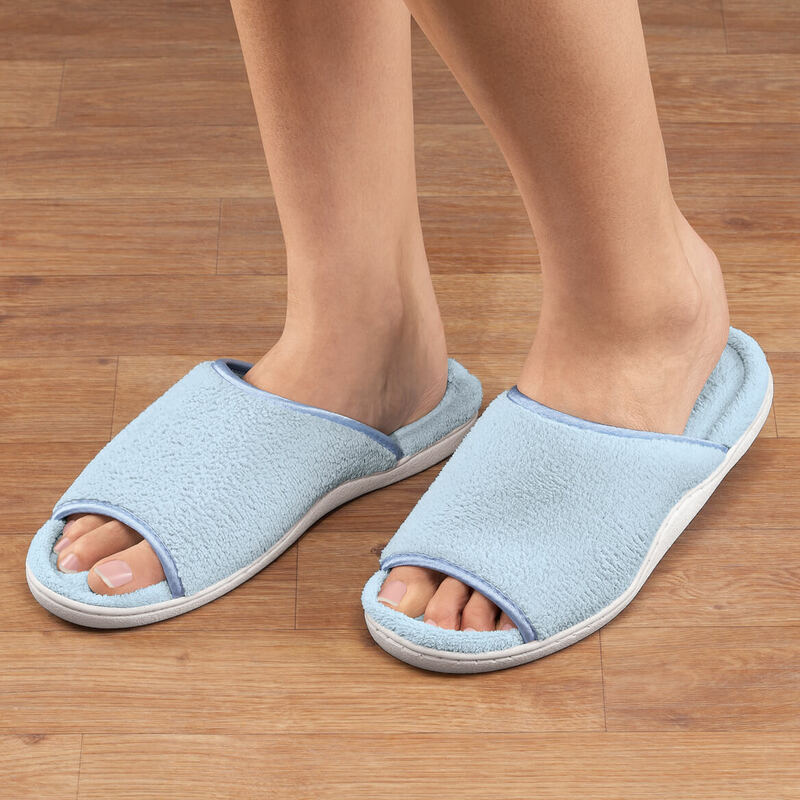 I like open toed slippers for the summer months, hard to find different colors.